Teruyoshi Yoshida received his PhD in 2006 from Harvard University under the supervision of Richard Taylor. His mathematical interest is in the interface between automorphic forms and arithmetic algebraic geometry, with much of his work concerned with the geometric structure of Shimura varieties at places of bad reduction. 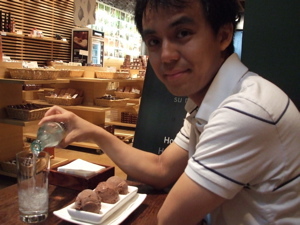 Teruyoshi was appointed as a Clay Research Fellow for a term of three years beginning December 2007.